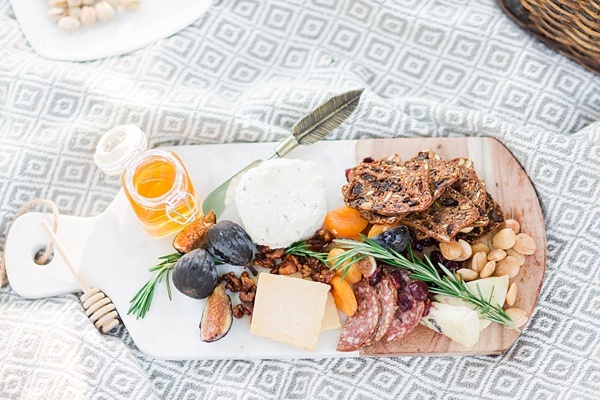 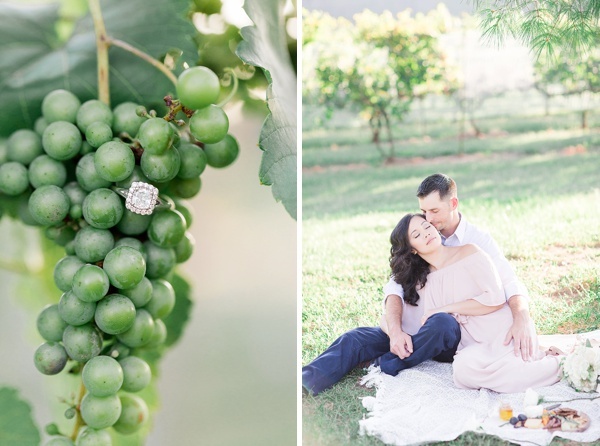 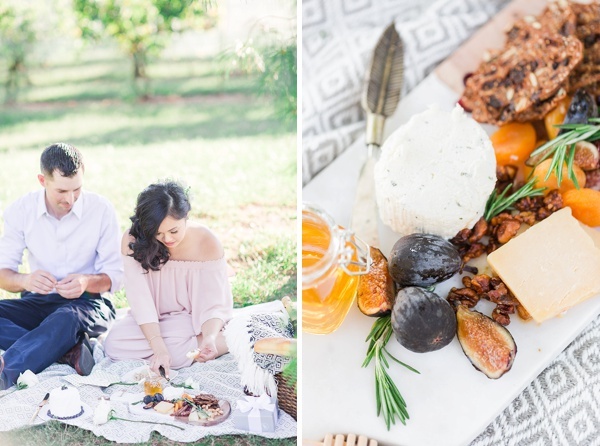 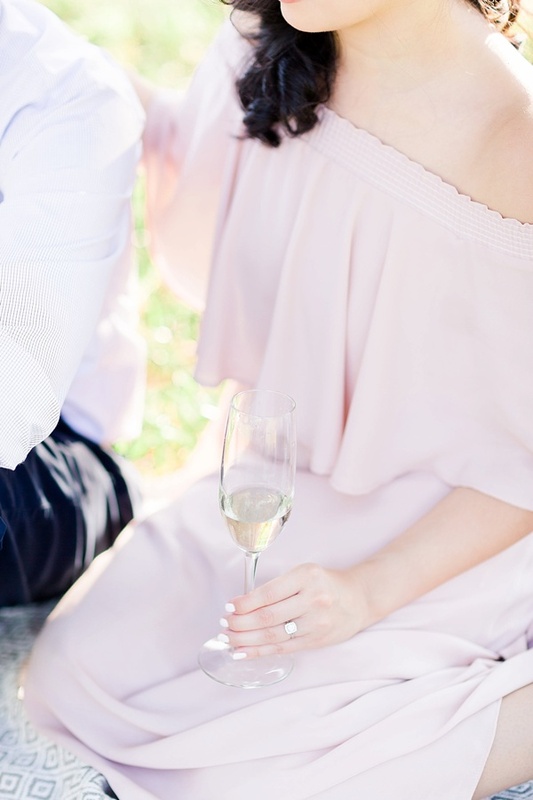 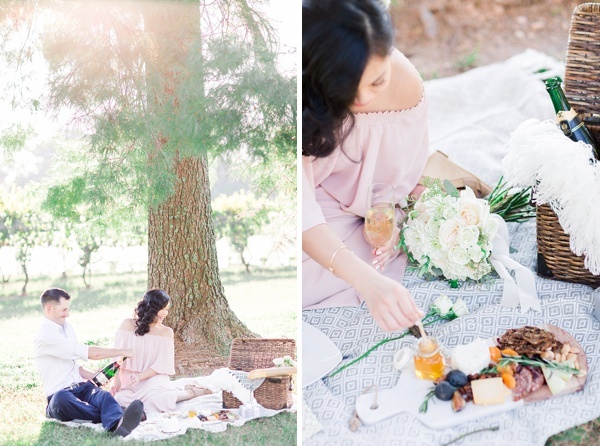 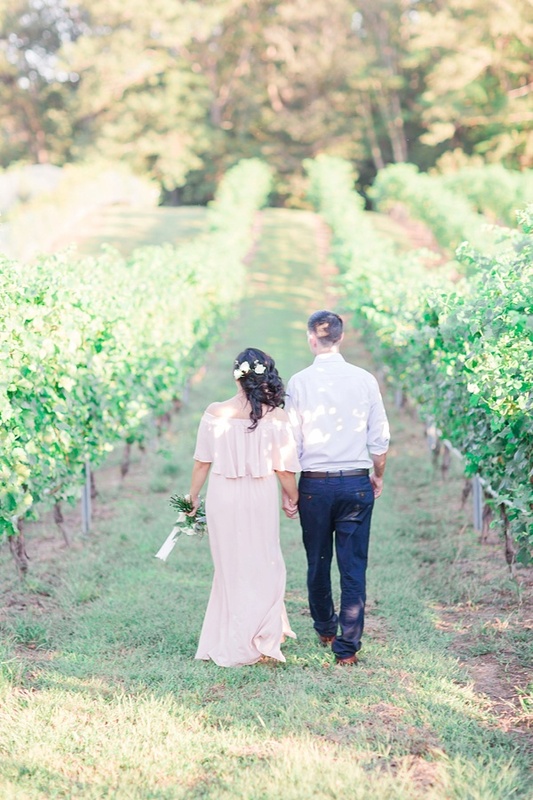 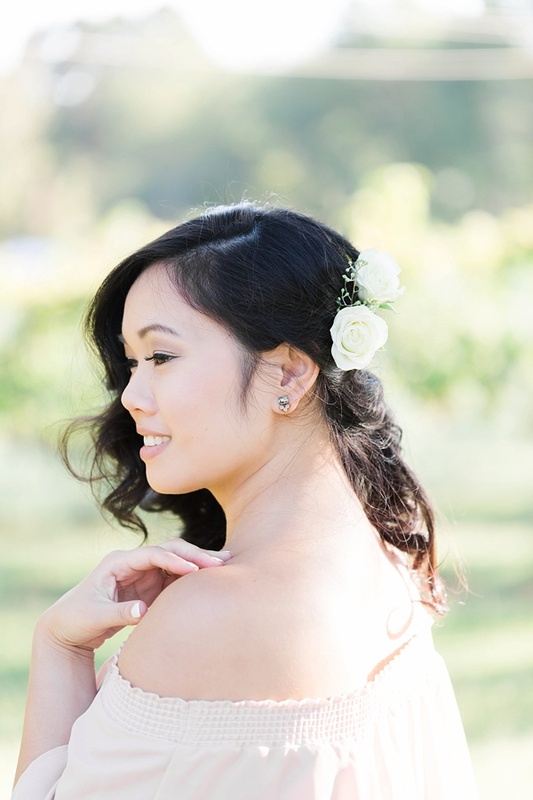 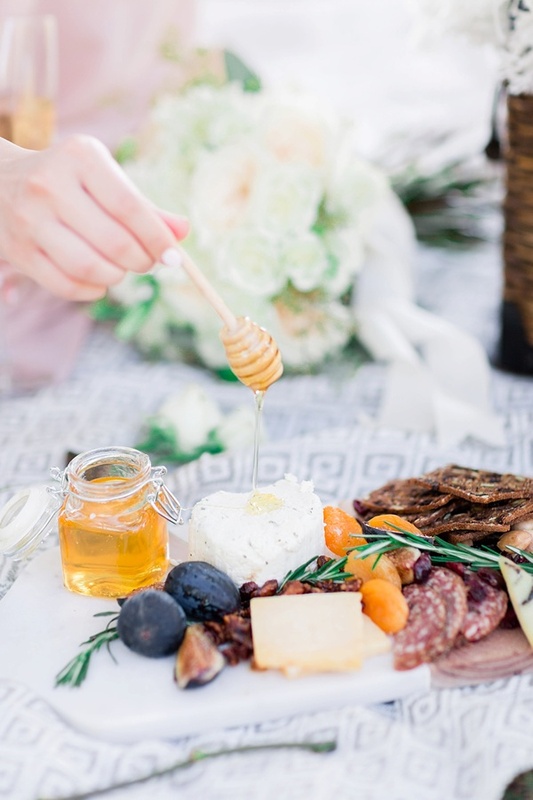 With a vintage picnic basket filled with bubbly champagne and the makings for a beautiful al fresco charcuterie board, Pamela and Arthur headed to Lake Anna Winery in Spotsylvania for their romantic engagement session with Jessica Green Photography. 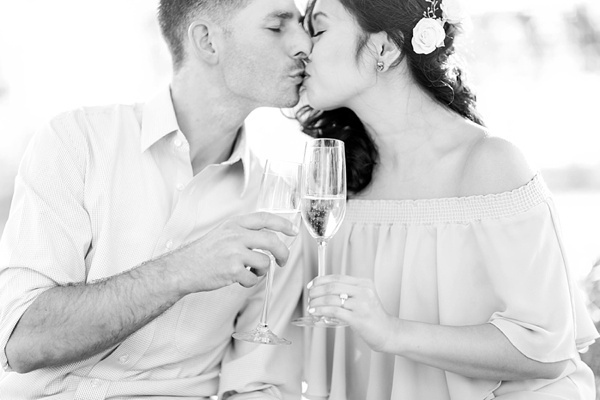 The sun-drenched afternoon was all the perfection to celebrate their relationship and their upcoming chapter as husband and wife! 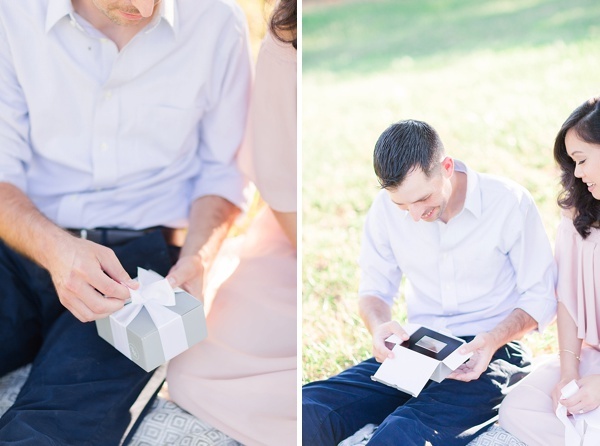 As a thoughtful surprise, Pamela surprised her fiancé with a classic engraved pocket watch nestled in a wooden box that had a silver "Mutual Weirdness Forever" plaque. 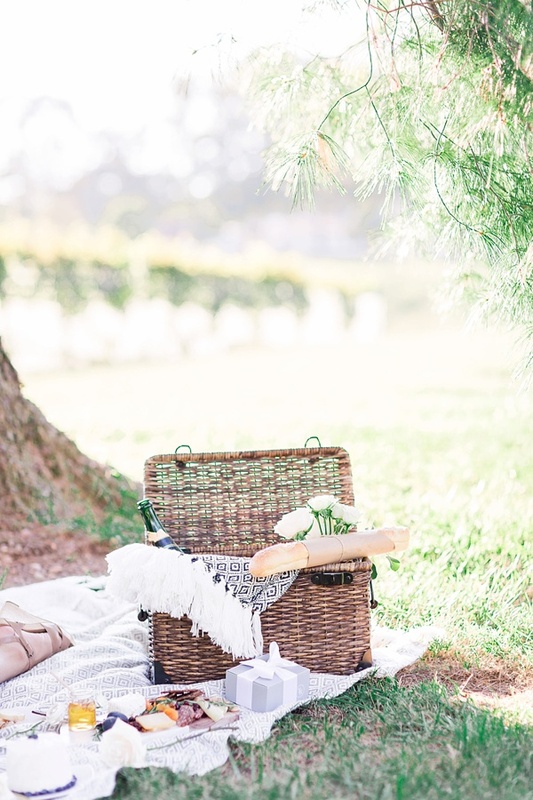 And well, any Dr. Seuss reference is a major win in our book! 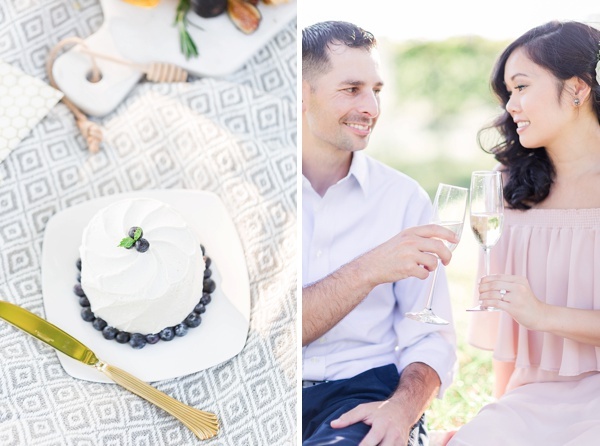 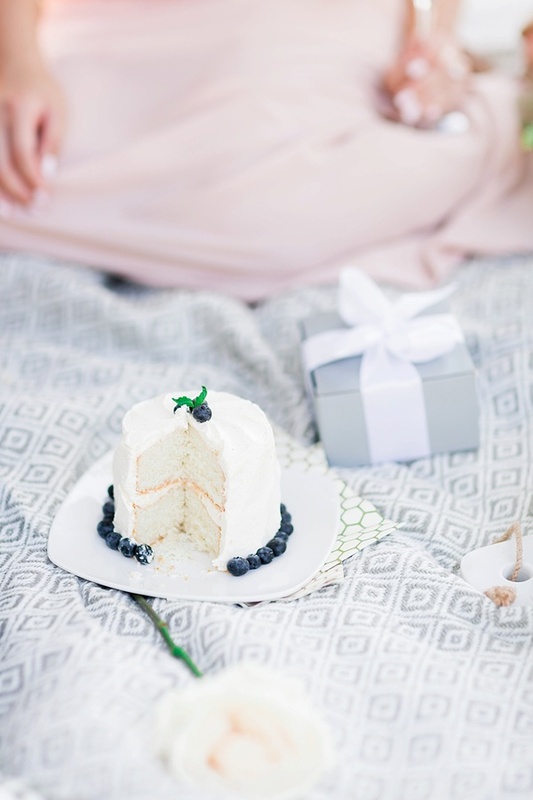 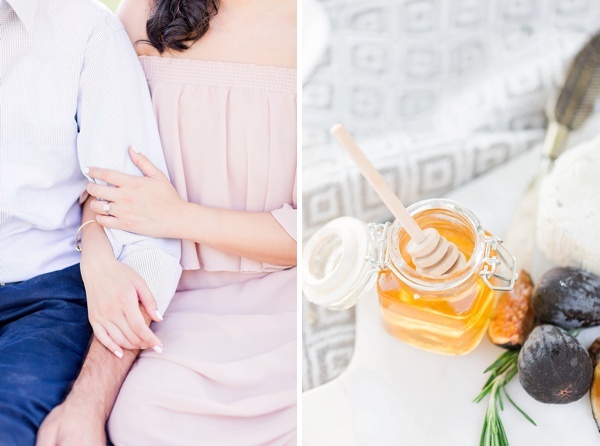 From the sweet mini cake to the little honey jar to the cozy chic picnic blankets, no detail was left out when it came to making their special time together personal to them.